The Asia Cup is underway and it promises to be a tournament to savour. The tournament is back to the One-day format and it won't go on for long. The spacing between two matches is very less and hence, it will be a test of fitness, temperament, grit, and technique for the teams involved. The last Asia Cup which was held in 2016, was won by India. India starts this tournament as favorites even though Virat Kohli has been rested. 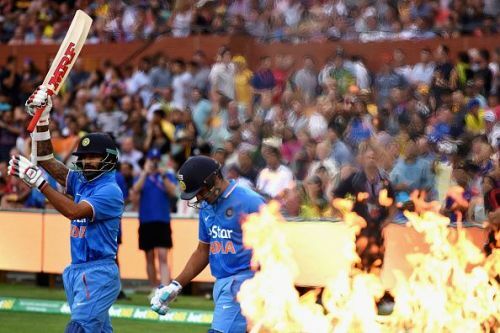 Let's have a look at 5 reasons why we might end up seeing India lifting the coveted trophy. The unique selling point of India which other teams fear the most is their opening combination, and the possible circumstances if they get going. Even though Dhawan might not be in the best of form going into the tournament, the ball change (red to white) shall be a welcome factor for him. Dhawan likes to play on slow tracks and we have seen him excel on such surfaces. Rohit Sharma, on the other hand, possesses a massive threat to the opposition as well. Once he gets going, there's no stopping him. Rohit takes time to get to his fifty but from there onwards, there is no looking back. He has the ability to make up for all the dot balls he has conceded in a matter of a few balls. A three-time double centurion, he is also the captain this time around and he enjoys playing with responsibility on his shoulders. He has shown us that time and again. How Rohit counters the new ball will be the key as his feet tend to stay planted early on in his innings. Both Dhawan and Rohit will look to get India off to a flyer but, will anyone stop them? It will be interesting to see what plans the other teams execute against this deadly pair.